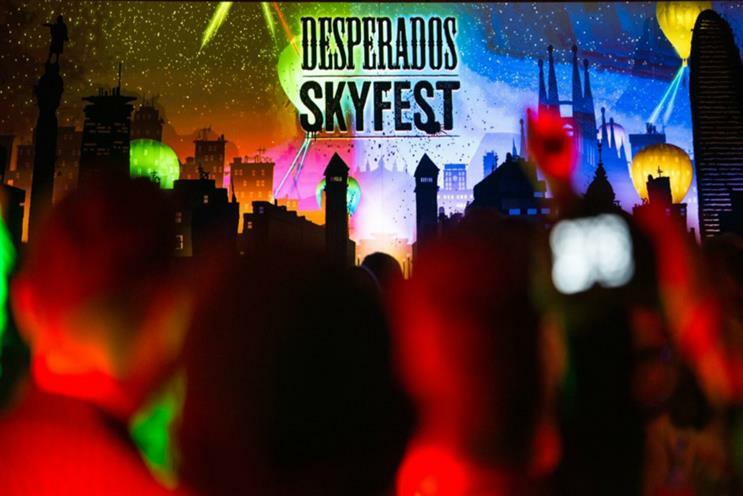 The Desperados SkyFest experience, staged by We are Pi and Jack Morton Worldwide in Spain, won the Game Changer category. Tequila-flavoured lager Desperados created the world’s first Hot Air Balloon Electronic Light Orchestra, with DJs playing in hot air balloons in sync with a light show. The Heineken-owned brand’s SkyFest activation, which took place in Spain in September 2017, was six months in the making, with a campaign building awareness and identifying 250 international influencers to take part in the event. These influencers also participated in a two-day lead-up experience to tease the main event: connecting sound, light and sky across touchpoints, featuring experimental music workshops and an interactive, conductive ink lightshow installation. On the night itself, hosted by Desperados and party producer Elrow, international DJs including Glasgow's Jackmaster, Chicago's Honey Dijon and Barcelona's Paco Osuna performed to 1,500 people in seven hot air balloons. A live feed shared Instagram stories from Desperados, Elrow and hundreds of user-generated posts from the partygoers. Content from the night, which included films of different perspectives from Elrow to the DJs, was viewed by millions of people all over the world, with electronic music platform Resident Advisor calling SkyFest a "once in a lifetime immersive experience". Converse wanted to position its One Star sneaker as a street-style icon. Its Converse One Star Hotel, devised by agency XYZ and design agency Hotel, took place in Shoreditch, London. It featured five floors with different interactive elements, such as a game of mahjong, live screen printing and backgammon matches, while corridors in the ‘hotel’ were inspired by the film The Shining. Fashion shows and live music performances were also part of the experience. The campaign exceeded expectations in terms of deliverables and attitudes to the Converse brand.